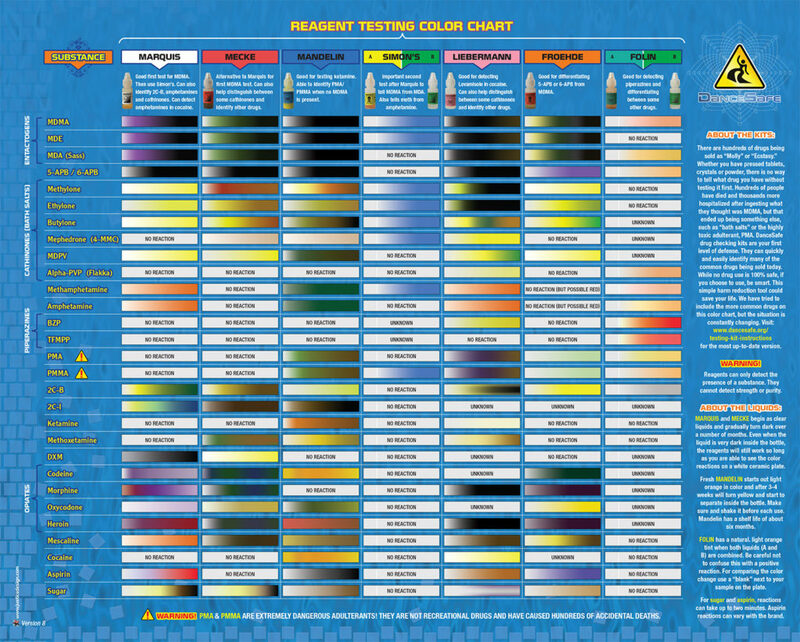 We use the Marquis, Mecke, Mandelin, folin, Froehde, Lieberman, Simon, and Erlich reagents for testing (pictured below). These reagents work by reacting with substance to give one of several characterized reactions. 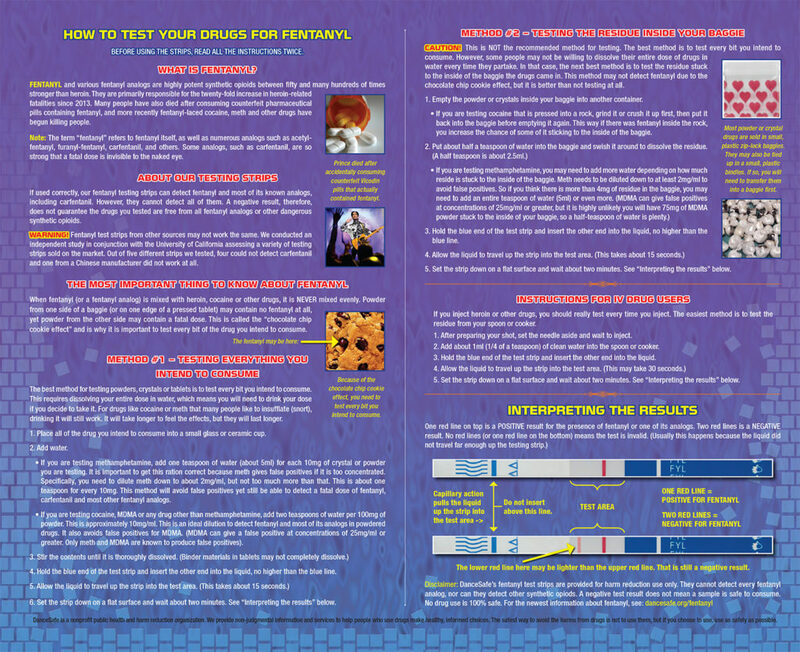 We also use fentanyl test strips to test for the presence of fentanyl and it’s analogs. Fentanyl is a powerful synthetic opioid that has recently been found in many samples of drugs. It cannot be detected by the chemical reagents alone. 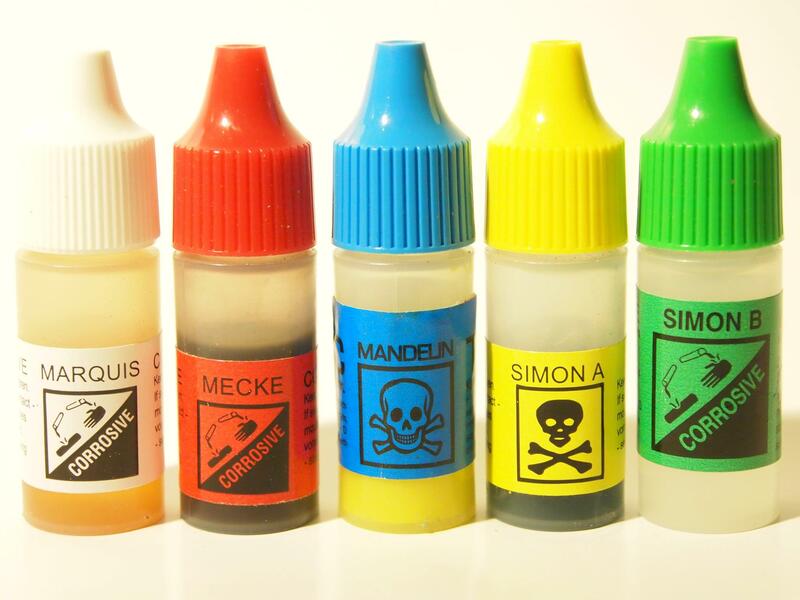 The resulting color change can indicate the presence of certain substances. 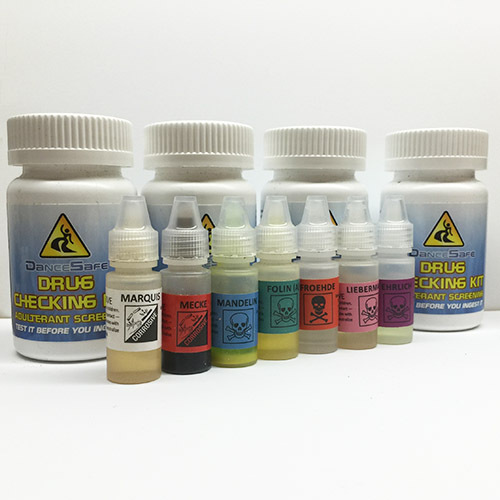 Our tests cannot indicate purity or concentration – simply the presence or lack of specific substances. 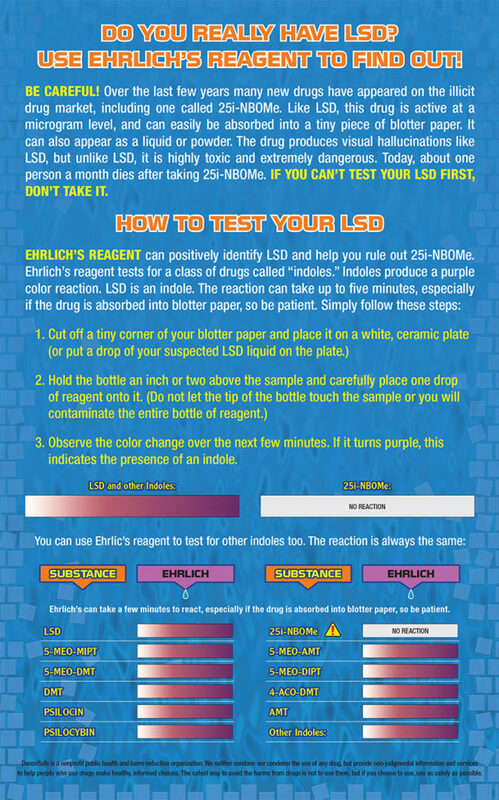 The color reactions and associated positive results for 7 of the 8 reagents. Cocaine is often cut with other chemicals. Most notably, cocaine is often cut with amphetamine / methamphetamine and / or levamisole, a drug which cannot be easily separated from cocaine that can cause serious immunosuppressant complications in some users. 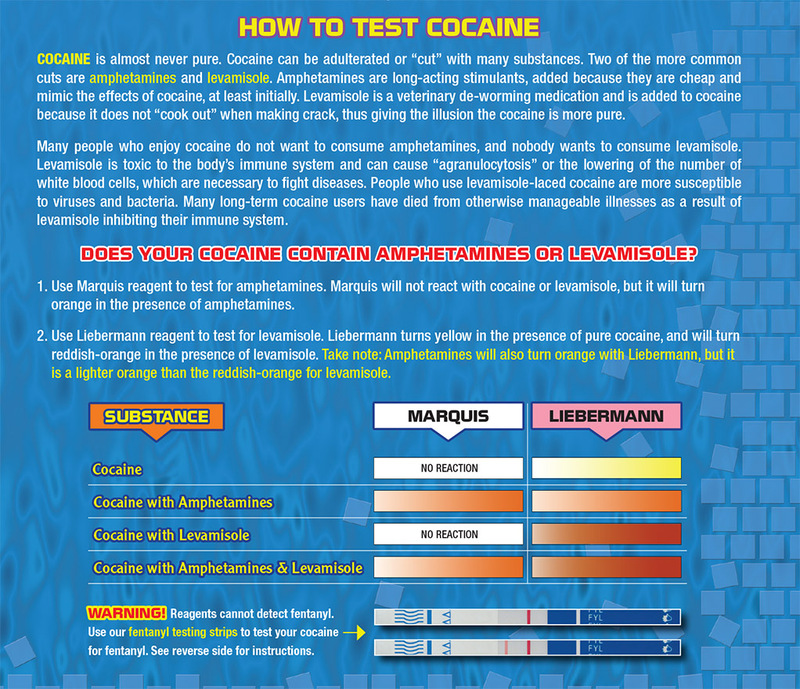 The presence of levamisole and amphetamines can be detected through the use of the Marquis and Liebermann reagents. Levamisole has been found in 70-80% of all cocaine. To err on the side of caution, assume that the cocaine you are ingesting contains levamisole. Watch our for symptoms of immunosuppression, and if possible, tell your doctor you are taking cocaine so they can help monitor your health.